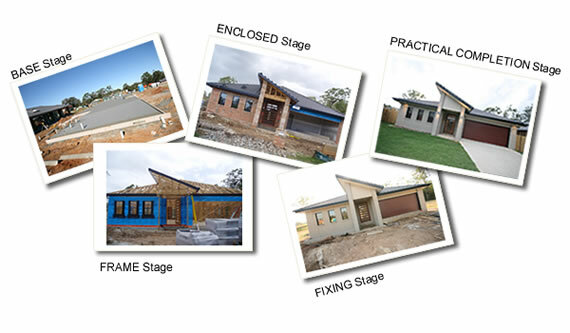 Path Developments Pty Ltd prides themselves on only using the best quality proven suppliers and BSA licensed tradesman. Many of our tradesman have been sub-contracting to Peter in the building industry for five years. This in itself proves why we can build a quality home on time, every time. Our suppliers believe in their products and provide substantial warranties, thus giving our clients piece of mind and providing a low-maintenance, easy care property. Path Developments not only build quality turn-key investment properties but have completed numerous architecturally designed houses of which plans can be obtained by registering your interest with the office. We encourage our suppliers to provide us with the latest releases of their products thus enabling us to stay in touch with current trends. This not only ensures that your property is of high quality but helps with resale in the future. As your property reaches completion of each stage, photos will be uploaded to a secured Client View area. You will be provided with a username and password which will enable you to login to your personalised viewing area to see progress photographs of your property at each stage throughout the building process.